Rely on a trusted Lake George real estate agent when you’re looking for Lake George area homes for sale, Southern Adirondack or Bolton Landing real estate! Holly Dansbury knows the region, the market, and loves what she does. 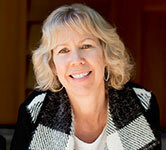 (Check out Holly’s Corner for some of her latest advice on the entire real estate buying and selling process). Searching for Adirondack real estate, Lake George area homes for sale or businesses to buy or rent doesn’t have to be a painful experience, and Holly embodies this statement. As you look around the Lake George region for a real estate agent to help you realize your dream, keep Holly in mind. Read below to see how she has helped home sellers and buyers in circumstances similar to what you may find yourself in today. Holly made it Easy and kept us informed every step of the way! Holly was great helping us sell our elderly Aunt and Uncle’s cabin near Hague on Lake George. She knew who to contact to have a tree removed and to get repair estimates. We were working long distance much of the time (from Oklahoma and Florida), but Holly made that easy and kept us informed every step of the way. Cabin was sold within a couple of weeks and for a good price. Great job Holly. Thank you. We have purchased numerous homes and worked with many realtors over the years. Holly has been the best one ever. Her professionalism, attention to detail and quick follow up made this home buying experience easier. She started as our realtor and by the end of the process was our friend. We would highly recommend her. 5 star! Thank you Holly Dansbury for finding us our amazing home for our family and welcoming us to the lake! See you soon! 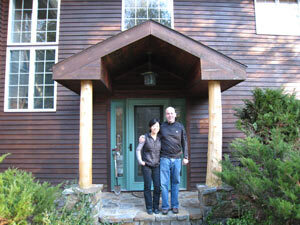 Holly very patiently worked with me and my husband for several years until we found a terrific log home that met our needs. She was supportive, honest and an easy person with whom to talk. She was also willing to lend a hand during the inspection/closing process which was much appreciated as we live several hours from Bolton Landing. I would highly recommend Holly as a premier Lake George realtor. Holly goes the extra mile. Holly had the patience to get us the house we were looking for without making major compromises. Her subtle yet professional manner will serve you well through your entire home buying experience. Finding the perfect Log Cabin. 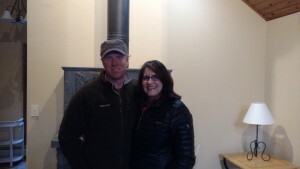 Holly was not only my realtor for the sale of my house in Bolton Landing but also super patient and understanding of my needs as we went to look at several houses in the two years and 3.5 months it took to find my Log Cabin. The just listed in the last seven days page of her website was crucial in my search and I have recommended it to several of my friends. I would check it daily and we went to look at several homes during the process. I found the listing for the log cabin I purchased the day it was listed. Holly arranged a showing for the following day and the next day I was pre-approved and we submitted an offer that was accepted that weekend. She was very knowledgeable in what I should expect to pay for it and walked me thru the negotiations process, knowing it was the perfect spot for me, even before I was positive it was. I have lived here for 2 years and loved every minute of it. I am glad she was so understanding of my need to find the perfect log cabin with land and with as many of my requirements as possible and still within my budget. Holly is the best realtor in the Adirondacks. We have vacationed and enjoyed Lake George and Bolton Landing for many years. Holly Dansbury has been helping us on our search for our vacation home. It didn’t take Holly long to know exactly what we wanted. She diligently worked with us to find the exact fit for our family’s needs. Even when life got very busy, Holly would always keep us informed of anything she thought might interest us. She was always available to show us any possibilities. Holly’s knowledge and patience has made the house hunting experience very enjoyable.We would definitely recommend Holly Dansbury to anyone looking for a home in the Lake George Region. Thank you, Holly! Our family decided to downsize and wanted to sell our beautiful home in Bolton Landing, Lake George NY. Choosing Holly Dansbury as our agent was the best decision we made. Holly is very knowledgeable of Bolton Landing and the surrounding areas. She was always reachable and very patient & understanding towards us and potential buyers. Holly made our selling experience a pleasure. Thank you! 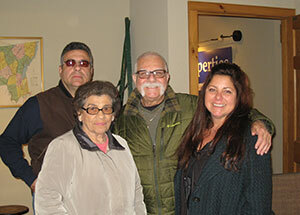 The Panzardi Family - Bolton Landing, Lake George NY. My wife and I were looking for our first home, an experience that only happens once in a lifetime. 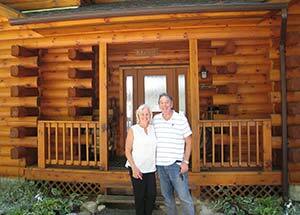 We wanted to be near Lake George and there were few homes available that fit our budget and our needs. Holly worked diligently, days, nights, and weekends until we found just what we were looking for. Holly truly does understand what fits you best. A true and rare gift that everyone deserves in their realtor, whether you are purchasing your first home, a new home, or a vacation home. Holly made the whole process a fun experience and was always there when we needed her. She followed through with every detail even after the deal was done, a true professional and a great friend. We are thankful to have met her and highly recommend Holly Dansbury! We would like to thank Holly Dansbury for helping to facilitate what has been one of the best decisions our family has ever made. Buying a vacation house in Bolton Landing. When we started casually looking 2 years ago, Holly helped us understand the market and what type of property was right for us. She had the unique ability to deliver the right amount of communication that kept us involved, but at the same time made us feel completely relaxed without any pressure. On the many weekends we were up at the lake and met with Holly to look at a few new listings we became more and more comfortable with our needs and the decision to buy. This allowed us the time needed to find the right house and become mentally ready to make this big decision. To be honest, if it were not for Holly’s patience, subtle perseverance and professional knowledge I would not be enjoying my wonderful new lake house right now. I never thought I would be saying this, but buying a home does not have to be a stressful process and can actually be fun. Thanks to Holly it was for us. When you're looking for a Southern Adirondack or Lake George NY real estate agent, call (518) 321-1870 today, or contact Holly online for more information! Find the right Bolton Landing real estate, Lake George area homes for sale, property in Warrensburg, Hague, Brant Lake, or throughout the Southern Adirondacks with an agent you can trust.